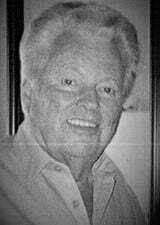 Wayne H. Fuller 84, of Burlington, passed away Saturday, February 9, 2019 at his home surrounded by his family. He was born on October 24, 1934, to Warren and Verna (nee Ninnemann) Fuller. He spent his early life in Yorkville where he attended Ives Grove Grade School and graduated from Park High School. Wayne served his country in the United States Navy from 1951 until 1956. He was part of the Seabees. On October 1, 1955, he married Elaine R. Dziekan and together they raised 3 wonderful children. Elaine preceded him in death On Nov. 6th, 1995. On February 5, 2000, Wayne was united in marriage to Mardell “Marti” Bauer. Wayne is Survived by his loving wife, Marti: his children Marilyn (Ronald) Martin, Todd Fuller, Luanne (Greg) Christensen, Jacquelyn (Stu) Diehn, Patricia (Jimmy Dale) Rogers, 12 grandchildren and 19 great grandchildren. The family would like to extend a warm thank you to his special caregiver Gerlee Sampil, and Dr. Kokat, Dr. Erickson, and Dr. Rein. A Mass of Christian Burial will be held for Wayne on Monday, February 18, 2019 at 5:00 P.M. at St. Thomas Aquinas Catholic Church in Waterford. Relatives and friends may visit with the family on Monday, February 18, 2019 from 3:00 until 4:45 P.M. at CHURCH. A Private burial will take place at Westlawn Memorial Park.